After a huge party that saw bass so massive that it blew up a register (!! 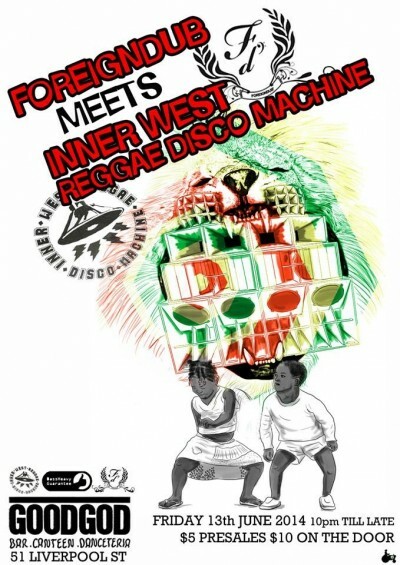 ), the Inner West Reggae Disco Machine is back for another huge night in the Danceteria, joined by Foreigndub DJs for a night of non-stop rhythms and body-shaking basslines. As with last time, theyre bringing the full Machine into the Small Club – a custom-made wooden behemoth of speakers guaranteed to make everything shake. If you’re not already acquainted, get familiar here.